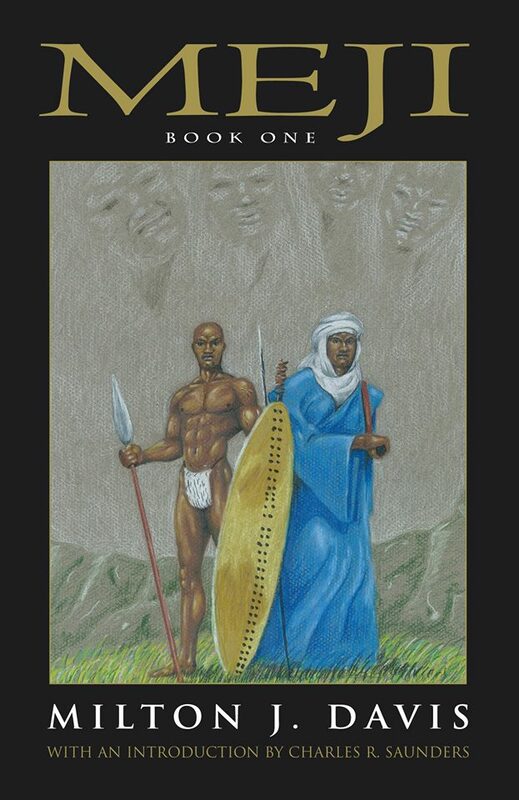 Synopsis: The story opens with Inkosi Dingane (king of the Sesu tribe) pacing the birthing hut. His great wife, Shani, was in pains, screaming and cursing as she laboured. Her legs ajar and Themba, her Mawena handmaid, squatting between them, awaiting the new arrival or arrivals, as we shall see later. Dingane has many wives, but none gave him a son. He was so much in need of a son and he was going to get it. He knelt down and prayed to Unkulunkulu (main god of the Sesu). He promised to do anything and everything, as long as he was given a son. The screams in the birthing hut soon died down. Themba emerged, her head bowed. She invited the Inkosi into the birthing hut to see his jewels. Upon entering, Dingane sees Shani cradling two bundles of joy. His brows rose, then joined together at the top. Shani felt happy showing him her bundles. Her husband wanted a son, he got two; for she had given birth to twins. Mulugo, the Sesu medicine priest, was summoned. Upon entering the hut, he looked down at the abominations and spat. Dingane had really out done himself. He prayed for a son but the gods cursed him. That aside, the twins were long foretold of to Mulugo, as the powers that would bring about his downfall. Yes, Dingane knew the traditions of his people. Twins were abominations and were to be killed so as to prevent the wraths of the gods and repel the evil the twin had brought with them. However, Shani was ignorant of the traditions. As a native of Mawena, where twins were adored, she was sure she had given Dingane the best gift ever. But in the Sesu land, she had given him a curse, one that could cost him his throne, if not handled well. Mulugo’s words cut through her. Abominations? Must die? How could she bring such beauties into the world, only for them to suffer death at such a tender age? “No!” She protested. A protest that did nothing to change the medicine man’s instructions. Dingane wanted a son. Here they were, but tradition forbade them. He couldn’t bear his wife’s pain, neither could he bear his pain of not having what he prayed for. “Let one live.” He decided. But his decision didn’t go well with Shani who wanted both sons to live, neither did they go down well with Mulugo who wanted them both dead. A series of event follows. The twins are separated. Dingane and Mulugo believe one is dead, while the other lives. Shani is stripped of her title as queen and Jelani, her new body guard from her father, Oba Noncemba, joins her in raising a son Dingane insisted must live, but will have nothing to do with. Ndoro is his name. Although the curse of the land follows him and he is isolated along with his mother and Jelani, he would turn out to be the greatest warrior ever to walk the earth. His spear and shield would fight countless battles and he alone will stand victorious, that is, until he meets a twin he never knew about. Oba Noncemba of Mawena land keeps the second twin, unknown to the Sesu. It is the only way to help save his daughter’s son. The twin, unlike his brother in the Sesu land, lives a life of royalty. The kind of life he was born to live. Hidden away in his grandfather’s palace, the second of the twins grows in grace but weirdness as his talent shows at an early age. He is a child that exits both in the land of the living and the land of the dead. He sees the spirits and can communicate with them. His name is Obaseki, and he would be the greatest magician and medicine man in all the kingdoms. His powers rise everyday. But he won’t be able to make meaning of himself and his gifts until he finds his missing half, a half he knows nothing about. My Thoughts: Meji is unlike anything you have read in African fantasy/historic novels. It is unique, original and captivating. I picked it up at a leisure time but after a few pages, I couldn’t put it down. Not even when I had other things to attend to. From start to finish, you’re put at the edge of your seat. Anything can and will happen. Events and twists are totally unpredictable and they leave your jaws hanging low. It takes you away from your immediate environment and leaves you in a world of sorcery, fierce battle from rival kingdoms, betrayal, loyalty, courage and self determination. For in this world, nothing is given freely, you must earn it. And to earn it, you must be among the strong, not the weak. After finishing this book last night, I tried to sleep, but the events kept playing in my head. I finally slept and found myself acting out the events in the story. The author certainly is vast in ancient folklores and must have carried out series of research in African studies, just to give this book the thrill and originality it deserves. I’m off to read book two. I will be sure to let you know how the events turned out. Gosh! I’m so excited already.